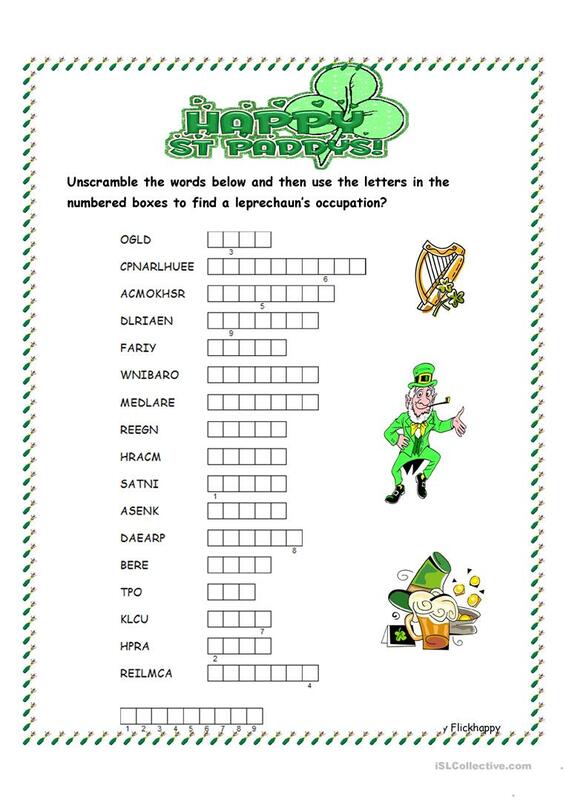 This is an anagram exercise with vocabulary related to St. Patrick's Day. 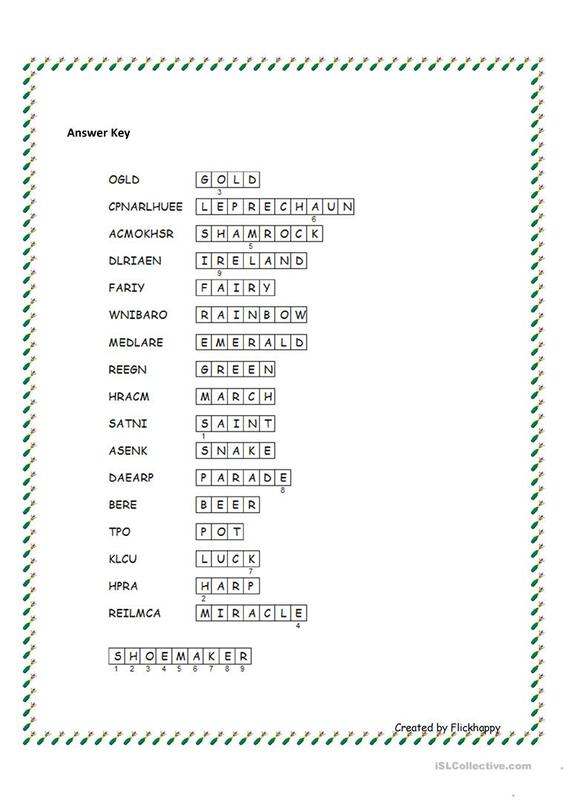 The present downloadable printable is intended for high school students and adults at Intermediate (B1) level. It can be used for working on your learners' Reading and Writing skills. It features the topic and words of St.Patrick's day. The exercises come with the solutions.